Learn the language of color with this guide to color symbolism. 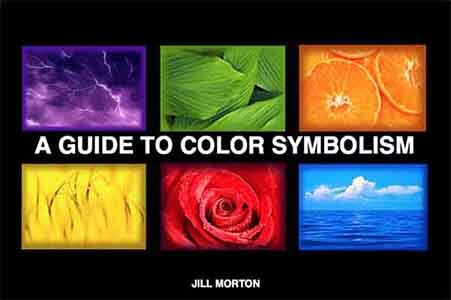 You’ll find the messages and meanings of over 100 colors in “A Guide to Color Symbolism.” Psychological symbolism (both positive and negative associations), religious and political symbolism, and much more is covered in this guidebook. Choosing colors can’t get any easier than this. You’ll be able to pinpoint the precise symbolism of any shade of a color – from light to dark. All of the 100 color swatches are identified by specific symbolic associations, RGB formulas and HEX codes. Color swatches are grouped into red, purple, blue, green, yellow, orange, brown, black, white and gray categories. Groupings include a light, medium, dark, bright and muted color versions. Note: The color accuracy is far better than books in print because they’re e-books (PDF’s). Instead of the compromises that occur with color reproductions in printed publications, Color Voodoo achieves remarkable color in all the illustrations. A concise analysis of the symbolic meaning of nine basic colors: red, orange, yellow, green, blue, purple, black, white, and gray. You’ll find out the positive and negative associations, classic and contemporary symbolism of each of these basic color groups. This gives you a broad and flexible understanding of color symbolism. It will get you going in the right direction on all of your color decisions. One hundred and seven large swatches of individual colors with the specific meaning of each one. RGB codes and HEX formulas for each color are included so that you can use them as an accurate reference for any purpose. When you’re looking for a specific color, you can find it instantly! There’s also a special section entitled “Tips for Color Communication – Global Design and Web Sites” and some basic guidelines for other design applications and color systems. 80 pages with 100+ color swatches.